Please consider making a donation to Sparkle Cat Rescue to help with Anna's future medical expense needs. No amount is too small. Please note your donation should go to Anna's Medical Fund. Great news at Anna's follow-up visit! We still need to raise money for Anna's future medical care needs. Anna had a vet appointment on December 7 at Benessere Animal Hospital in Greensboro after foster mom Sarah noticed Anna limping on her left rear leg. What we thought was a simple tweaked muscle has turned out to potentially be something a lot more serious. Anna's X-rays revealed that she is lacking an incredible amount of bone density on her left right side limbs (especially her back left leg) and both hips. Her right side is "close to normal," but her bones just aren't as dense as they should be. According to our vet, her left back leg looks like it has a pathological fracture (also called insufficiency fracture, which is just a bone fracture caused by disease that led to weakness of the bone structure) and that there is potentially a weird tumor on it. 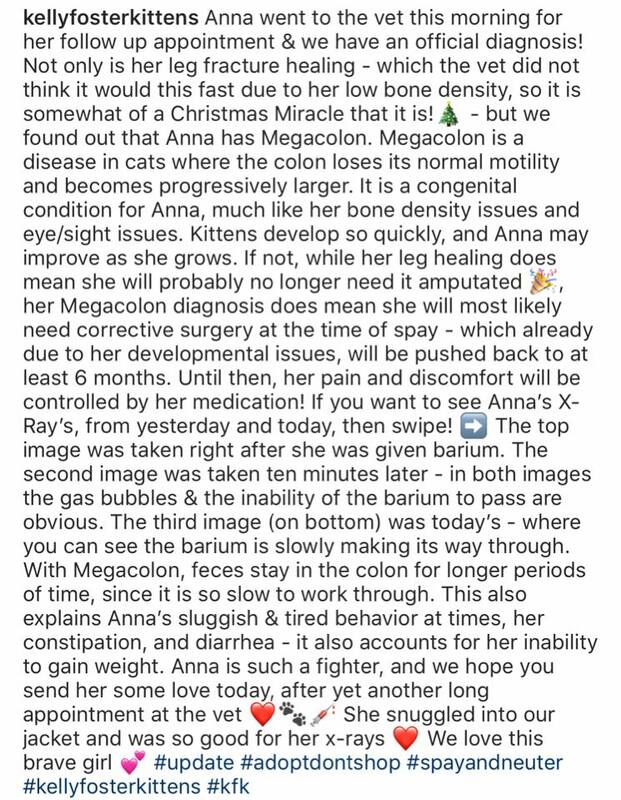 Her bone density issues, which are physiological issues specific to Anna, which are more than likely congenital could be due to a calcium/phosphorus abnormal ratio or even something else. The vet said several times she would need to do some more research and discuss her x-rays with other vets to see if they had seen something like this before. Several times she noted that Anna was "just not quite right all the way around." Anna does have trouble seeing and processing, which her foster family had been noticing a bit more as she's grown up, and were finally able to discuss with the vet at the 12/7 appointment. 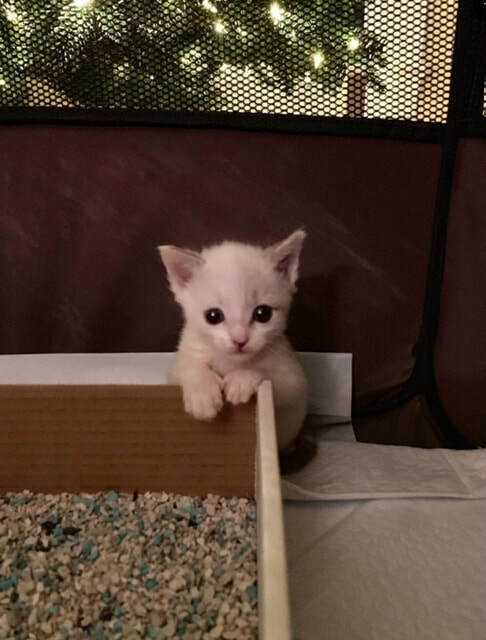 Anna is a pretty rare situation, and right now our vet is hesitant to put a kitten this age (so young) on NSAIDS (nonsteroidal anti-inflammatory drugs). For now, she wrapped Anna's leg in a temporary splint, just to attempt to keep her foot from flopping and just to help her to put weight on it. While the vet is not confident that Anna is showing signs this young of serious congenital issues, that it will heal, she did say that if she continues to grow, mature, and develop at a proper rate the leg will need to be taken off when she's spayed. She mentioned that cats do weird things when they heal and if she miraculously heals to the point it isn't as floppy or causing her pain, she may be able to keep it, but it does not look that way at this point. So, this is why she has always been quieter than her sister Matty and now we know it's why she's been a bit more hesitant to put weight on her limbs by playing - this is why she much prefers snuggling. But she's still in good spirits and is her happy self! 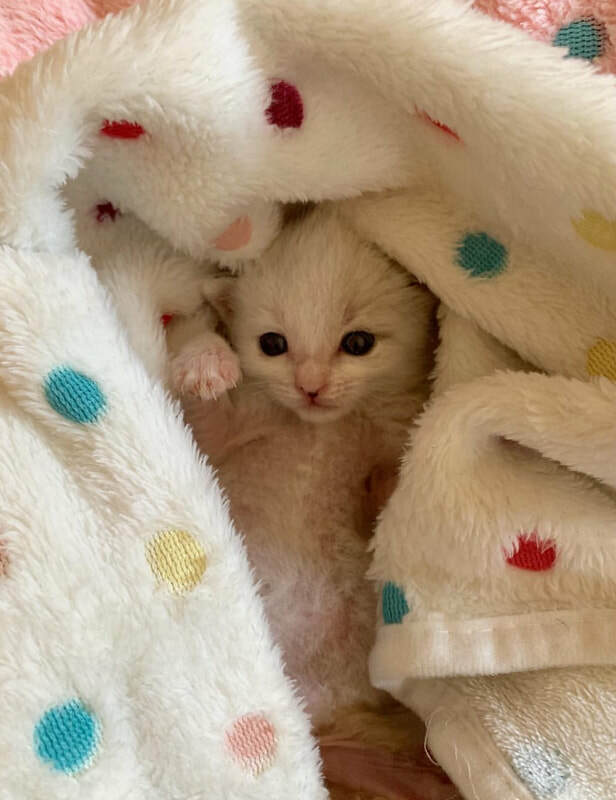 Her forelimbs are a bit denser and her back right leg looks better put together than her left, which - foster mom saw the x-ray - looks a bit like a tiny spaghetti noodle. She needs some light PT (physical therapy), where foster mom picks up her front legs and helps her practice bearing weight, a bit at a itme. The vet says if it had not been for her foster family's care that Anna would not have made it this far, and while she is facing a long road ahead she is in great hands. Anna's foster family is going to fight for her to have the best chance at a normal, healthy life and while they are scared and disheartened and upset by how this all seems so unfair to Anna, they are also hopeful and trying to stay positive. 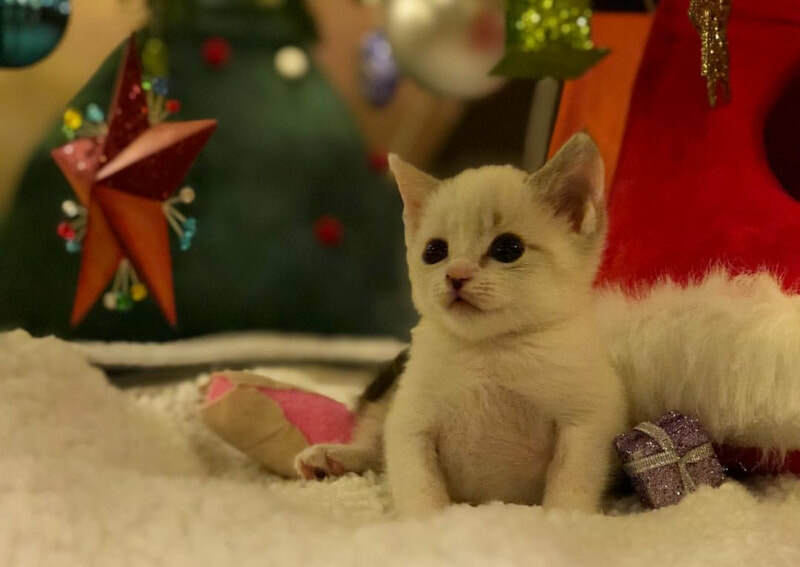 ​Anna's vet appointment on 12/7 was $100.00 and we have no idea what her future vet expenses will be. It looks like she is going to have some growing medical bills. She has a follow-up appintment in 10 days and from there we will know more about potential costs and more details about what is going on with her and her bones. We ask not only for your thoughts and prayers, but also ask if you are able to donate to help Anna, to consider doing so. We will be collecting donations to put towards her appointments and potential upcoming surgeries. 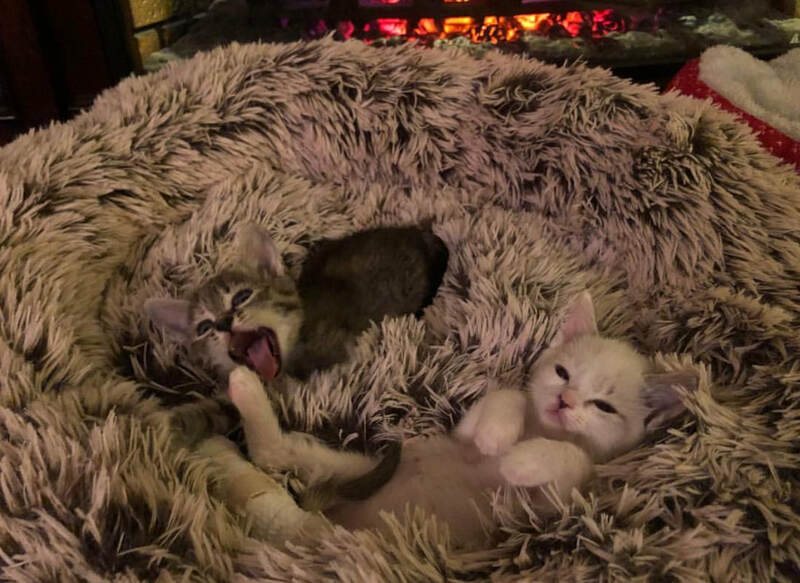 Any money raised above what is needed for Anna's care will help other Sparkle kitties in the future. 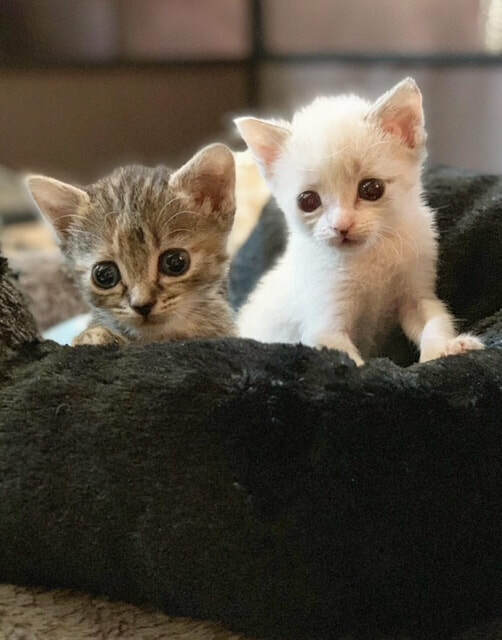 Sparkle Cat Rescue's mission is saving the 'forgotten felines': abandoned, abused, homeless, injured, neglected, and we are always in need of donations so we don't have to hesitate and say no due to lack of funding or a foster home available to help take in a cat/kitten. 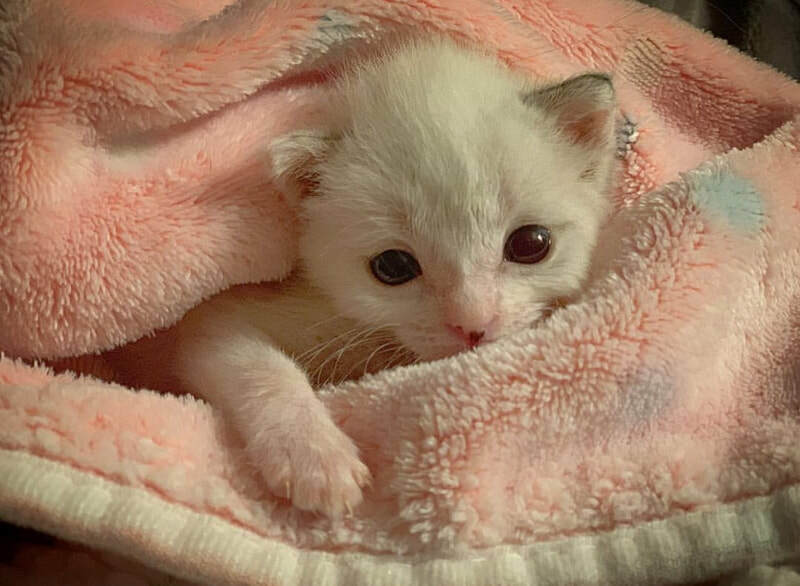 Sparkle Cat Rescue took Anna and her 3 siblings (Matty 'Matterhorn, Denali and Everest) in on October 28, 2018 after they were dropped off at a clinic without their mother (who was not found by the individual that took the babies). 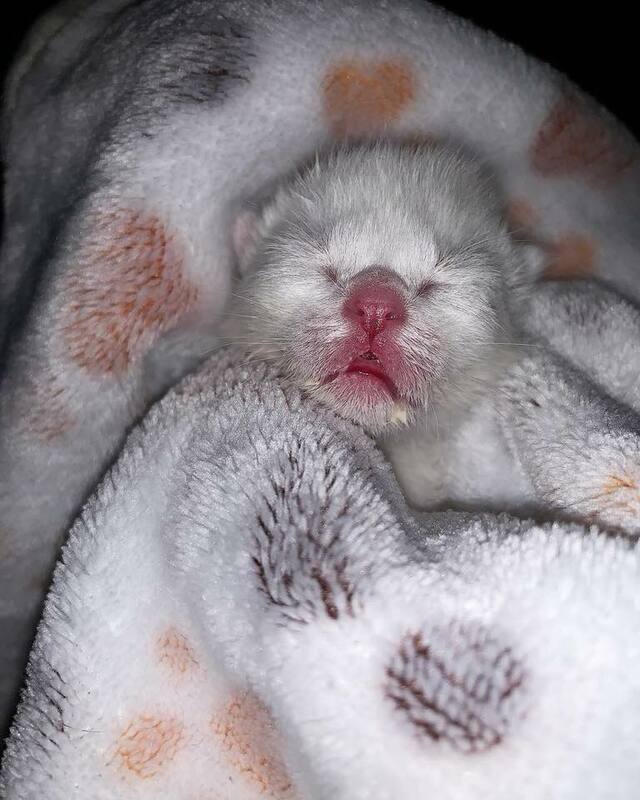 The babies were less than 24 hours old and cold and hungry, wrapped only in a towel. 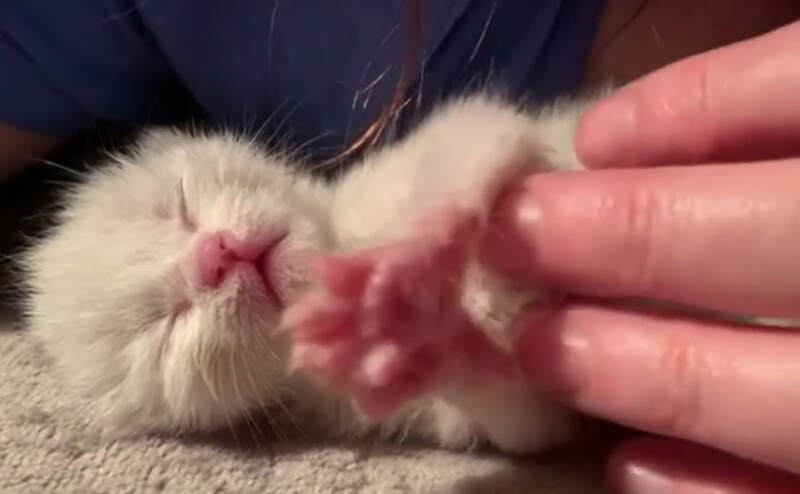 Sparkle Cat Rescue's foster mom Cheryl provided emergency care for the first 24 hours and then foster mom Sarah picked them up to take back to Greensboro and provided around the clock care with very little sleep and fighting tirelessly to keep the babies alive. 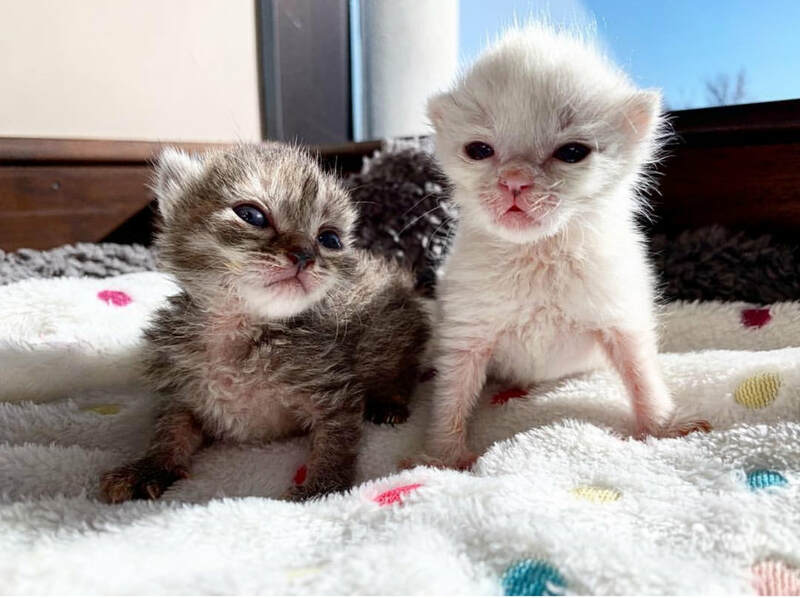 Despite the best care in the world from their foster mom and family, two of her brothers passed away.